First-time mother Flora Kwok Wing-mui sat feeding her eight-month-old son with a radiant smile、and spoke of her miraculous awakening. Suffering from acute liver failure、Ms Kwok、34、slipped into a coma late last year、just weeks after giving birth to the boy. She awoke to find she had been given a new lease on life thanks to a liver transplant from a total stranger. "I woke up to a pleasant surprise," she said. "It seems that everything had been pre-ordained." Ms Kwok and 43-year-old husband Kelvin Tong Ka-chun said it was more than a miracle. "It is even more extraordinary than winning the Mark Six," Mr Tong said. "We are so grateful. Not everyone can live long enough to wait for a suitable liver." A hepatitis B carrier from the age of 12、Ms Kwok suffered liver failure three weeks after giving birth in late November. She immediately became the most urgent case in her blood group awaiting a transplant. Her mother was the only one in the family with the same group、but doctors said the 55-year-old was unsuitable because of her age and high blood pressure. After an appeal through the media、a woman、who wished to stay anonymous、came forward. The transplant was in early December. Seven months on、Ms Kwok said she could not yet do heavy physical exercise and needed plenty of rest. But she has no problem walking up and down stairs and carrying the baby、who is now learning to walk. "We are now anticipating the baby's first word," Mr Tong said. They said they had met the donor、a Christian、a few times、and kept in contact. "I am extremely grateful for her selfless act," Ms Kwok said. Mr Tong hoped his wife's case would encourage more strangers to consider donation、despite the risk. "Not only could it save a person's life、but also keep a family whole," he said. Ms Kwok was the second patient to receive liver from a total stranger. Last September、a 19-year-old girl received a donation from a 37-year-old、also a Christian. When liver transplant surgeon Lo Chung-mau checked his e-mails a few months ago、one message caught his eye. He could hardly believe what he was seeing: a young Pakistani wanted to donate a portion of his liver to anyone in Hong Kong who might need it. Professor Lo、who is head of the University of Hong Kong liver transplant team at Queen Mary Hospital、said such a "good Samaritan act" raised more questions than answers. Currently、more than 100 patients are awaiting the gift of life in the form of a liver transplant. "This e-mail was a surprise to us," Professor Lo said. "We could not find a very convincing reason why this man wanted to travel a long way、to Hong Kong、to donate [part of] his liver. Perhaps this person does not exist." After an exchange of e-mails、the transplant team asked to meet the man in person. But they never heard from him again. The incident is part of a new and growing trend of people coming forward to donate to complete strangers in Hong Kong. For the first time in Hong Kong、two people recently donated part of their livers to try to save patients they had never met. The donors、who responded to media appeals、gave to a 19-year-old woman and a 34-year-old mother、both suffering from acute liver failure. Liver donations from the dead have reached a record high this year、with 31 cadaveric livers given in the first six months、compared with 29 in the whole of 2008. But many patients still need living donors. Some families have made high-profile appeals in the media、which have raised public awareness and compassion. Professor Lo admitted that his team did not feel totally comfortable with this new trend. "Organ donation from a stranger has become a challenge to us. We take a very cautious attitude towards this because we will be putting a perfectly healthy person at risk. "First、we have to rule out any organ trading. "Second、we have to make sure that a donor fully understands the risks he or she is facing." Professor Lo said the team had been busy dealing with the flood of calls after each widely reported appeal. "We explained to the callers in detail what the possible risk would be. A donor has to stay in hospital for at least a week and cannot work for six weeks. A big surgical scar will be left on the abdomen for life. Most of the people who called us withdrew after hearing such information. The whole process used up a lot of our manpower and resources." The team also needs to assess a potential donor's mental state carefully. In one case、of a woman who contacted the team to donate part of her liver to a patient she did not know、doctors tracking her medical records found that she had a history of suicide attempts. Her offer was rejected on the grounds that she was mentally unstable. For a typical adult recipient、a healthy living donor has 55 per cent of the liver removed. It will regenerate to function 100 per cent within four to six weeks、and will reach full size soon afterwards. The transplanted portion will reach full function and the appropriate size in the recipient as well、although it will take longer than for the donor. When the family of 19-year-old Tiffany Law Man-ting appealed for help after she lapsed into a coma、suffering acute liver failure、five strangers contacted the transplant team. However、none went any further after learning about the risks involved in the operation. Then 37-year-old Kenny Chan Kai-yiu - a devout Christian - appeared. 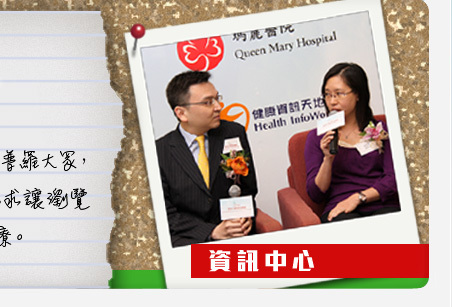 Kelvin Ng Kwok-chai、the transplant team's consultant surgeon、interviewed him and was impressed by his determination. "He told us that God sent him here," Dr Ng said. "His mother is also a Christian and she fully supported him." The operation was carried out on September 25. Both Mr Chan and Ms Law have made a good recovery. Mr Chan said: "I know a bit about liver transplants and I decided to give [part of] my liver to her. It was a magical feeling、it was like a calling from God to ask me to help this girl." In the case of the 34-year-old、Flora Kwok Wing-mui、she suffered acute liver failure three weeks after giving birth to her son. Her story hit the headlines and drew public attention. A woman in her 30s - a complete stranger - answered the call after reading the media reports. The transplant was carried out on December 4. The anonymous donor declined media interviews and did not even want to meet the patient. Dr Ng said: "The donor said she only wanted to help the mother、she was so determined. She told us that she had prepared for the worst." He said these two cases were classed as "directed" donations、meaning that the donors specified who the recipients would be. The Pakistani case was the first "non-directed" donation that the team had come cross. "We told him that organ trading is illegal in Hong Kong," Professor Lo said. "He stressed that he just wanted to donate [part of] his liver for free. "We wanted to meet him but we do not hear from him any more." Transplant surgeons have to be very careful in dealing with offers from living people unrelated to the patient、especially strangers. First、an organ donation requires approval by the Human Organs Transplant Board、to rule out the possibility of organ trading. Then doctors need to explain in detail the risks of the operation、which could kill the donor. A clinical psychologist、the last gatekeeper、examines a prospective donor's mental state and his or her understanding of any adverse consequences of the operation. "On the one hand、we have to be ethical and cautious; on the other hand、we have to do our best to save lives," Professor Lo said. "If we take any wrong step、the public will lose trust in us and the transplant programme we have established for years will collapse." Organ donations by strangers have also led to changes in health care policy and rethinks of medical ethics. For example、the case in which a woman donated part of her liver to Ms Kwok has led to changes in the Hospital Authority's charging policy. In the past、organ donors、usually close family members、had to pay all medical costs. Yet it appeared insensitive to ask payment from a stranger risking her life to help. "That donor did not expect a reward. She just found it unreasonable to pay the hospital bill. This case reminded us that something should be changed," Professor Lo said. Alerted to the situation、Secretary for Food and Health York Chow Yat-ngok ordered a one-year waiver of medical fees for organ donors. Since February、the Hospital Authority has waived all medical fees - including for hospital stays、medical investigations and pre-transplant counselling - for living organ donors for a year. An authority spokesman said earlier: "It does not mean we encourage organ donations from living donors. We always promote organ donation from deceased patients." But Hong Kong is conservative when it comes to compensation for organs donors. While donors in the United States、Britain and Singapore are allowed under law to receive money、those in Hong Kong are not. Professor Lo said Hong Kong doctors have reservations about such a compensation or award system. "In Canada、organ donors can get one-year income compensation. We don't encourage that practice、but we agreed that we should cover donors' medical bills." He also revealed that some people are unwilling to donate part of their liver to family members、but instead prefer to make an appeal to the public. Based on advice from clinical psychologists、the team has recently agreed that doctors should make up "medical excuses" to protect these "unwilling" members. "No person should be pressed to donate organs. If someone does not want to give [part of] a liver to a family member、we should protect him and make up a medical excuse," Professor Lo said. "Public awareness towards organ donation is improving. Now we have cases where the families of the deceased have called us to offer to donate organs. "But the supply will never be able to meet all the demand."